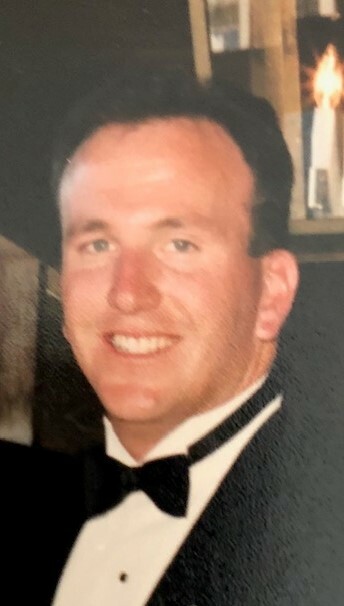 Kevin Christopher O’Connell, age 50, of Norton MA, formerly of Ormand Beach FL, passed away on Thursday, March 28, 2019 at Beth Israel Deaconess Hospital. Born in Norwood, MA, he was the son of Timothy and Ellen (Woodlock) O’Connell. Kevin graduated with a Bachelors Degree from Curry College and a Masters Degree from the University Of New England Of Maine in Education. Kevin played baseball, basketball and football during his college years and was inducted into the Curry College Hall of Fame in Milton MA. Kevin worked at several schools over his career, starting out as a Physical Education professional and working his way up to Vice Principal. He owned and operated the OC Kicking and Punting Football Program, in Ormand Beach FL. Kevin enjoyed working with children, young adults and college students, not only in the classroom but on the sports field as well. Besides his loving parents he is survived by his daughter Kerry Lynne O’Connell, sisters Carol O’Connell and husband Mark Walsh, Cathleen O’Brien, Maryellen Barrett, his nieces, Emily Carr, Kimberly Carr, Stephanie Carr, Shannon O’Brien and his nephew Paul Kiesling and his great nephew Timothy James Carr. Kevin’s funeral will be held on Wednesday, April 3, 2019 at 8:30 am from the Silva Funeral Home 80 Broadway (at Saint Mary’s Square) Taunton, with a Mass of Christian Burial at 10 am at Saint Mary’s Church, 1 Power Street, Norton MA. Interment will follow at Saint Francis Cemetery, Glebe St. Taunton. Visiting Hours will be held at the Silva Funeral Home on Tuesday April 2, 2019 from 4 to 7 PM.